Owl quiz: test your Barn Owl IQ! How much do you know about Barn Owls? Test your knowledge of Barn Owl facts with this fun true or false owl quiz! Do you think that the statements below are true or false? Decide if these statements are true or false, then click “True or False?” to find out the correct answer and discover if you are a Barn Owl Egghead! 1. Owl sounds: Barn Owls make the sound: “twit twooo”? – True or False? 1. False! Tawny Owls hoot – Barn Owls screech! Have a listen to these owl sounds to hear the difference. 2. Food: Barn Owls eat mainly voles, mice and shrews? – True or False? 2. True: On average, a Barn Owl will eat 4 small mammals each night. Can you work out how many are needed every night for 2 parents with 4 chicks? Find out more facts about what Barn Owls eat. 3. Owl eyes: Barn Owls cannot hunt in total darkness? – True or False? 3. False! Barn Owls can hunt even on the darkest nights, using their super sensitive hearing! Even though their eyes are twice as light sensitive as human eyes, they can’t see in complete darkness, but they can hear the smallest of sounds. Find out more about Barn Owls’ amazing hearing! 4. Baby owls: If you find a healthy baby Barn Owl that has fallen from its nest, you should put it back? – True or False? 4. True: Adult Barn Owls will not feed an owlet that has fallen from the nest. Read: ‘What to do if you find a young Barn Owl‘ to find out how to return them to the nest safely. 5. Helping owls: Everyone can do something to help Barn Owls to stay alive in the wild? – True or False? 5. 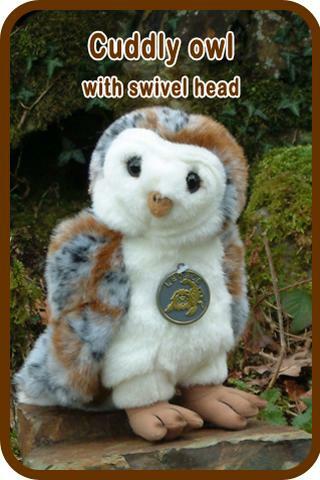 True: Barn Owl Trust Owlets are kids who help the Barn Owl Trust to look after Barn Owls. You can help by telling your friends, family and teachers about lots of ways to help the Barn Owl Trust! Are you a Barn Owl Egghead? How many answers did you get right? 1 correct answer: You’ve made a start – or was it a lucky guess?!! 2 correct answers: It still could be luck… get those brain cells working! 4 correct answers: Very good – you’ll soon be an ‘eggspert’! 5 correct answers: Eggsellent! You are a Barn Owl Egghead! Find out more Barn Owl facts!